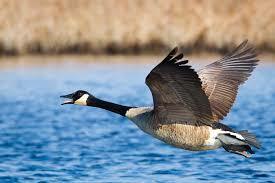 In Celtic spirituality a goose is the symbol for the Holy Spirit. For the Celts raised on the windswept cliffs of the Irish Sea it is the goose that survives and thrives. For the Celts a wild, loud, sometimes aggressive goose is a more fitting symbol of that great mystery called Spirit. Whereas tradition depicts a dove, it is a goose which honks with an explosive energy and flies on wide, powerful, expansive wings. Wendell Berry the Kentucky farmer and poet believes that wild geese flying over remind us ‘that what we need is here’, that the mysteries of life surround us…seed and earth and honking geese…awakening us to the gift of now. Dude…I love this! Mind you, I’m a Celt to the core, so I may not be especially objective! Rob, high praise from you. You are Celtic in spirit for sure.